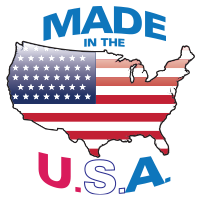 Our window and door products are made in the USA for an assurance of quality. All of our suppliers are located in the U.S., which can assure you that Champion’s Windows are built by hard-working Americans who have a dedication to quality. We are proud to keep the production of builder windows right here in the U.S. This creates more American jobs which help to strengthen our economy. We also believe U.S. companies have a strong dedication to precision, to using quality materials, and to maintaining delivery schedules. It is an uncompromising quality you will not find anywhere else. We consider it an honor to say: Champion Windows are made in the USA.